See more Rene Ruiz Gowns. We check over 450 stores daily and we last saw this product for $845 at Saks Fifth Avenue. 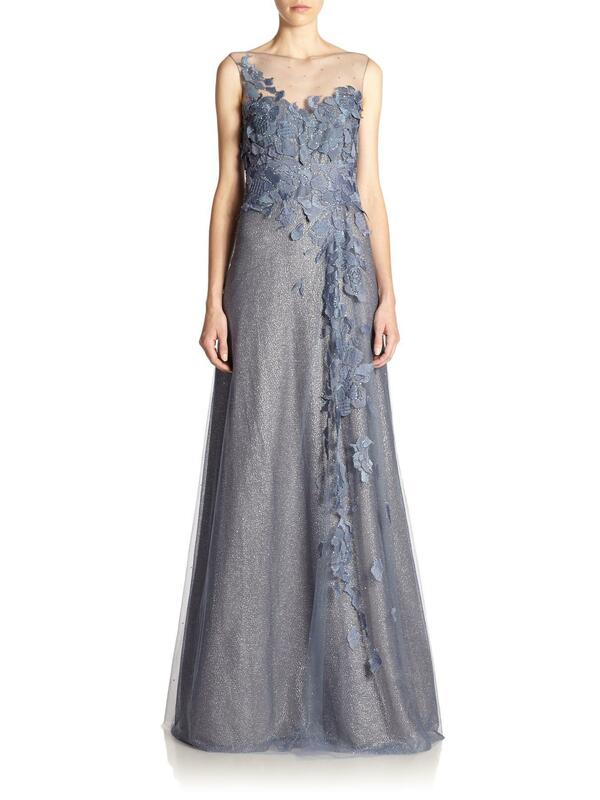 This metallic blue-toned gown from Rene Ruiz is embellished with floral-appliqués throughout. 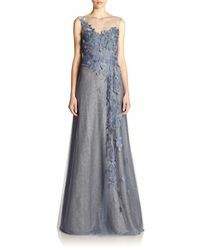 Crafted from tulle, this crystal-embellished dress has an illusion yoke and is sleeveless. Finished with a built-in bodice for extra support, showcase yours with a sweeping updo and embellished earrings.